The information provided at the first homeopathic consultation determines the remedy prescribed. The more accurate and complete the information is, the better the results are likely to be. So, let’s look at what is generally covered during this first consult but do keep in mind that the process will vary slightly from practitioner to practitioner. Acute and Chronic (Constitutional) Consultations – What’s the Difference? One of the first things to know is that not all consultations are the same; an appointment for an acute complaint such as insect bite will be different to a consultation for a chronic condition such as arthritis. An acute consultation deals with health complaints that have a limited life – they come and go over a short period of time. Acute complaints include things such as migraines, coughs, colds, indigestion, sprains, strains, bruises, stings, burns, diarrhea, and ear infections. A consultation for these problems takes less time than one for a long-term chronic complaint. If you think your “acute” is really just the tip of the iceberg it would be best to book a longer “constitutional” appointment to deal with any underlying weakness or imbalance that may be triggering it. Chronic problems such as arthritic pain, irritable bowel syndrome, infertility, asthma and eczema are not short-lived events – they stay with us and don’t spontaneously resolve. From the homeopathic perspective they are not even separate complaints but parts of a larger disease state caused by the one energetic imbalance. Chronic complaints require a longer consultation to collect all the information about this one imbalance. These consultations are often called constitutional or chronic consultations. If you are unsure which consultation would be best for you – an acute or a chronic consultation – your homeopath will advise you at the time of making an appointment. Location: where does it hurt – right side, left side, top, temples, forehead, base of skull, or …? Sensation: What does it feel like – throbbing, aching, burning, stabbing, boring, bandlike, or …? Cause: was it triggered by anything – fever, shock, a blow, heat, grief, anxiety, a particular food, or …? Modalities (things that make it better or worse): heat, cold, bending, lying, sitting, moving, eating, drinking, rubbing, light, noise, or …? Accompanying symptoms: are there other symptoms that occur with the headache – food cravings, changes in thirst, itchy skin, cramps, burning eyes, chilliness, or …? As you can see, a headache is not just a headache! Your homeopath needs this detailed information if they are to make a helpful prescription. In consultations for chronic health problems, your homeopath will ask questions similar to those for acute complaints. Remember, from the homeopathic perspective, your current complaints are just separate parts of a much larger imbalance. Your homeopath has to gather information from all these complaints, and not just the one that led to the appointment, so that a deep-acting remedy that gets to bottom of things can be prescribed. Your homeopath will want to know all the health problems to which you have been prone, either now or in the past. 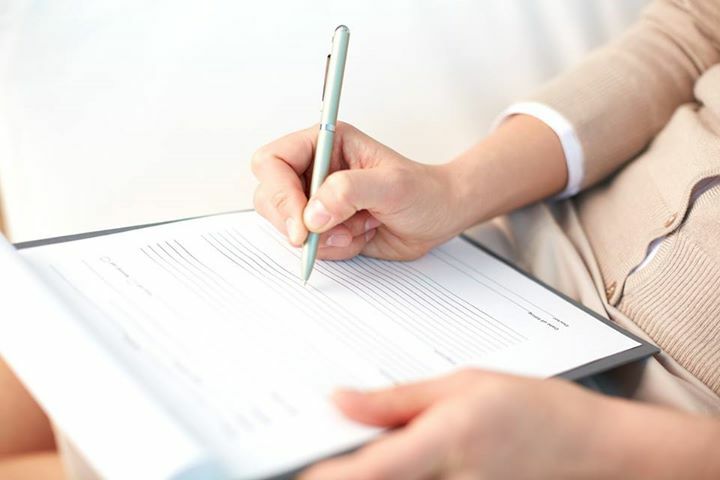 While your homeopath will certainly help jog your memory during the consultation it is also useful to note them down beforehand (in the order they occurred) for easy recall. It will also be helpful if you provide reports from relevant pathology tests or diagnostic investigations, along with a list of your current medications. The strength of your thirst and appetite, the type of food you normally eat, and especially food cravings and aversions, and any foods that disagree with you. Sleep patterns, repetitive dreams, and even the position you sleep in. The sort of weather that does or doesn’t suit you. Your reactions to things such as different environments, animals, music, and company – do you enjoy or avoid them? If the consultation is for an infant or young child, your homeopath will also be interested in the mother’s physical and emotional state before and during pregnancy; the pregnancy and birthing experience; vaccines given and possible reactions; plus the time it took for the infant to reach “milestones” such as teething, walking and talking. Excesses in personality traits are also symptoms of ill health. For example, being careful with money and using it wisely is a good thing but if spending creates anxiety that leads to hoarding, a problem exists. Similarly, there is nothing wrong with being organized and neat but if these good traits are replaced by obsessive tidiness or controlling behavior, the person is no longer operating from a place of health. Changes in behavior during sickness are also important. If you are normally calm and relaxed, but have become irritable and fussy in your illness, your homeopath will note these changes as symptoms. One of the amazing things about homeopathy is that the correct treatment can put you back in control of your moods and behaviors rather than them controlling you. Fears and phobias such as: the dark; animals; heights; poverty; something happening to family members; cancer; thunderstorms; snakes; crossing bridges, and a range of other things should not be thought of as a normal of life. They also are symptoms of imbalance that point to the needed remedy and they should resolve with treatment. Your homeopath may ask about your family medical history. Tendency to diseases such as cancer, heart disease, lung problems, strokes, and mental disorders in other family members may indicate remedies that could help you. Your homeopath will also check for things that are the cause of your health problem or acting as a barrier to healing. A person with respiratory problems, for example, will not improve in a moldy house. Likewise, constant exposure to harsh chemicals will not only cause dermatitis but stop it from healing even though the correct remedy may be prescribed. In both these instances the best solution is to remove the maintaining cause. Finally, your homeopath will refer you to your doctor for pathology or diagnostic tests should your symptoms indicate the possibility of a more serious disorder that has not yet been diagnosed. A true homeopath treats the diseased person according to the symptoms they experience rather than the name of their disease. In doing this, they focus on the person’s unique symptoms of their illness rather than the common symptoms of the disease – the symptoms that everyone with that disease would experience. The sufferer’s unique symptoms are then graded in importance and matched to a remedy to stimulate a curative response from the body. This process takes time. The first consultation with a homeopath will be longer than a normal visit to a doctor but if it starts the journey back to health, it is time well spent. Credit to Homeopathy plus website.